Robin Roberts provided an update on her health condition in a blog Facebook blog post, revealing that she's now back at home after spending a week at a New York hospital battling a virus. The "Good Morning America" co-host, who's being treated for myelodysplastic syndrome, a rare blood and bone marrow disease, told fans on Sunday: "After about a week back in the hospital I returned home Friday night. A latent virus, many of us have, was not responding to medication and was pulling down my numbers. Our immune systems usually take care of a virus like this...but mine is only 59 days old. Physically I felt fine but being back in the hospital took an emotional toll on me." Roberts thanked the hospital's doctors, nurses and staff for "lifting her spirits," adding, "They assured me the majority of BMT patients have to be re-admitted to the hospital for various reasons. I decided to look at my brief stay as a 'tune up'...and then I would be back on the road to recovery. By the grace of God, I am! The virus is under control and my numbers are going back up." 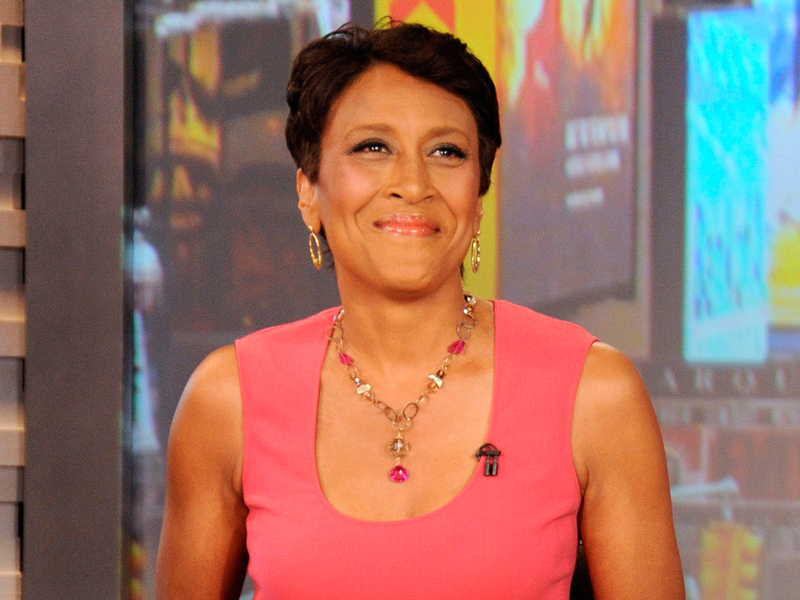 Robin Roberts: "My body is so weak, but not my mind"
Meanwhile, Roberts' sister, Sally-Ann Roberts, who works as an anchor for CBS' WWL-TV in New Orleans, flew to New York to be with her sister in the hospital. She also interviewed the "GMA" journalist after she was discharged from the hospital on Friday. A portion of the interview will air Tuesday on "Good Morning America." Earlier this year, Roberts started pre-treatment by undergoing chemotherapy. She took a leave from ABC's morning show to have a bone marrow transplant in September. Her older sister, Sally-Ann, was the donor.